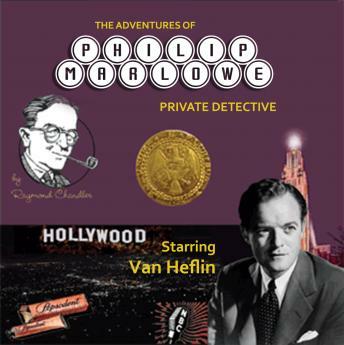 Listen to "Adventures of Phillip Marlowe" on your iOS and Android device. Philip Marlowe is a fictional private eye created by Raymond Chandler. Marlowe first appeared, under that name, in The Big Sleep, published in 1939. The Adventures of Philip Marlowe was a radio series featuring the Marlowe character. It first aired 17 June 1947 on NBC radio under the title The New Adventures of Philip Marlowe, and moved to CBS radio a few months later. By 1949, it had the largest audience in radio. The CBS version ran for 114 episodes. While many fans of classic hard-boiled detective stories are familiar with Chandler's novels and short stories, few have heard these radio shows. They are a testament to Chandler's skill in creating a world and a character that are engaging in many forms of media.